Products: Salesforce Health Cloud. Integration. Project Goals: Accurately capture and store customer details. Improve processes. Integrate systems. Optimize patient care. Candid Co. provides custom teeth aligners to individuals seeking to straighten their teeth without having to schedule appointments and pay the costly price that comes with meeting orthodontists face-to-face. 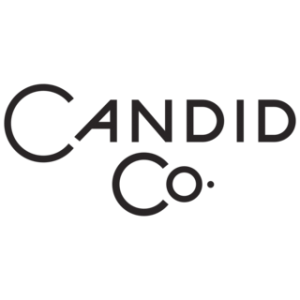 In order to provide this service to its customers, Candid Co. has created a process that involves a lot of details, check ins, and moving parts. Keeping track of these components are critical for Candid Co. to successfully treat its patients. Candid Co.’s process allows potential customers to qualify themselves as candidates for Candid Co. aligners, purchase kits online that are mailed to their addresses, take impressions and photos at home as instructed by the kits, mail the completed kits back to Candid Co., and upload photos and details online to track their progress. All these details need to be captured and stored accurately to ensure Candid Co. customers receive the correct treatment. This is where Salesforce Health Cloud comes into play. Candid Co. hires orthodontists to assess their customers’ needs and provide alignment plans for qualified customers who become patients. This requires the Candid Co. orthodontists to have easy access to all of their patients’ records and detailed files. The orthodontists use Health Cloud as an efficient way to manage their patients and keep them progressing through their own specific treatment plans. Health Cloud’s user interface is easy for these orthodontists to manage their patients and treatment plans in one spot. The streamlined technology is appealing to the orthodontists because it is familiar to them. It looks like an EMR or EHR system. Health Cloud’s patient timeline was a big value add for these orthodontists. It shows every encounter and interaction with that patient over time in one view, no matter what type of interaction it was. This allows them to quickly follow up and check in on patients. Candid Co.’s customer portal makes it easy for its patients to log in, submit photos, and provide updates from their end about their treatment progress. This is critical for Candid Co. and its orthodontics to create the custom molds for its patients’ aligners. This customer portal acts as a data gathering center. When Candid Co. integrated this portal with Salesforce Health Cloud, they were able to leverage task triggers to automatically kick off care plans and assign patients to orthodontists. The orthodontists are alerted of their new patients and can see all the patients’ data in clear, easy-to-comprehend views within Health Cloud. The patient management components of the customer portal integrated with Health Cloud has enabled Candid Co. and its orthodontists to work more efficiently, streamline processes, and eliminate administrative burdens to help them treat their patients with the best care they can provide. Please contact us if you have any questions related to our Salesforce or integration capabilities. For more information about Candid Co., please visit https://www.candidco.com/.